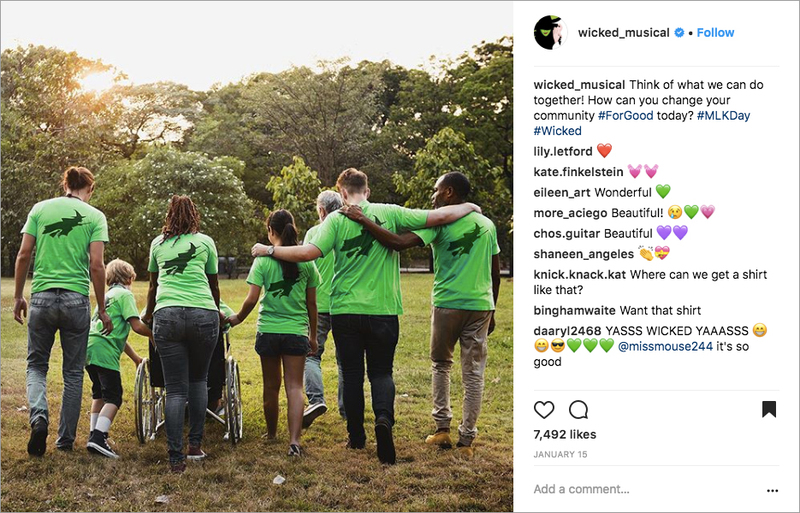 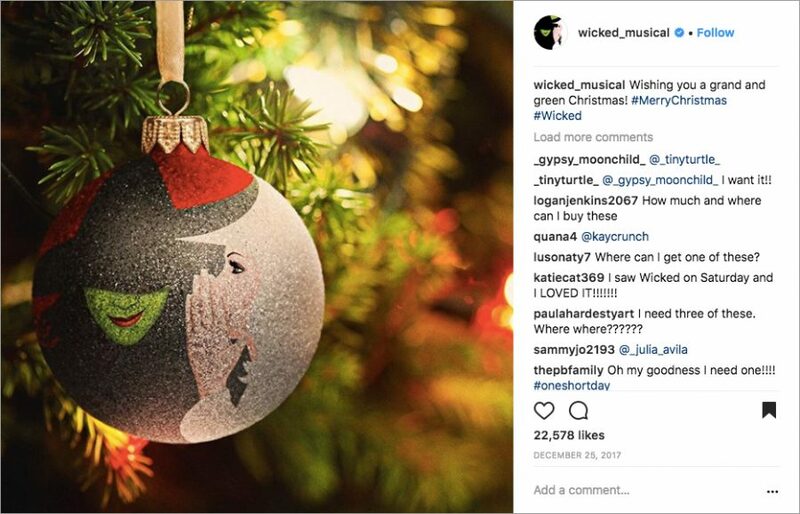 To engage Wicked’s hundreds of thousands of social media followers, the Situation Interactive team creates content monthly calendars focusing on empowerment, pop culture tie-ins, and references to the musical itself. 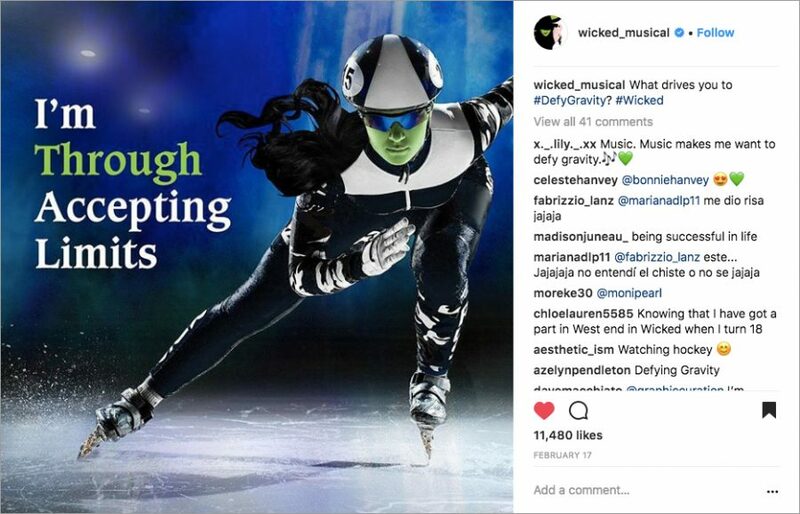 I’ve worked on both copywriting and designing as part of the Wicked team, and sometimes do both on the same project! I wrote a series of five posts pairing Wicked lyrics and Winter Olympics sports (with a Wicked twist of course). 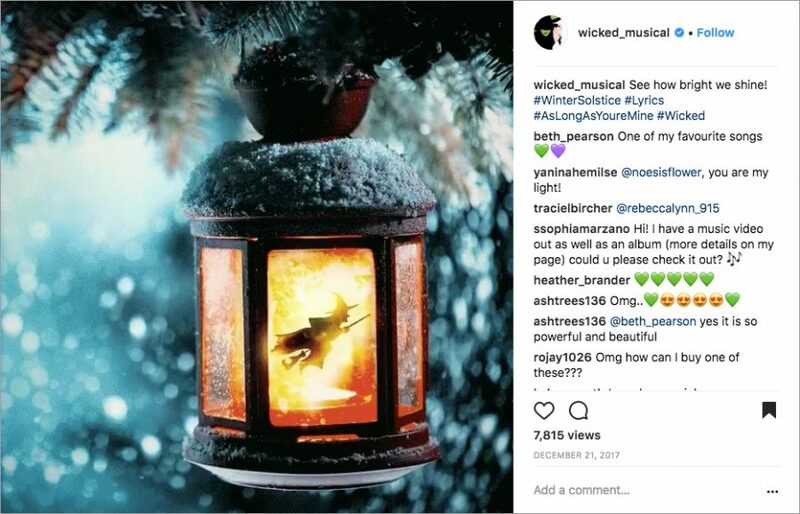 This is one post from the series which I both wrote and designed. 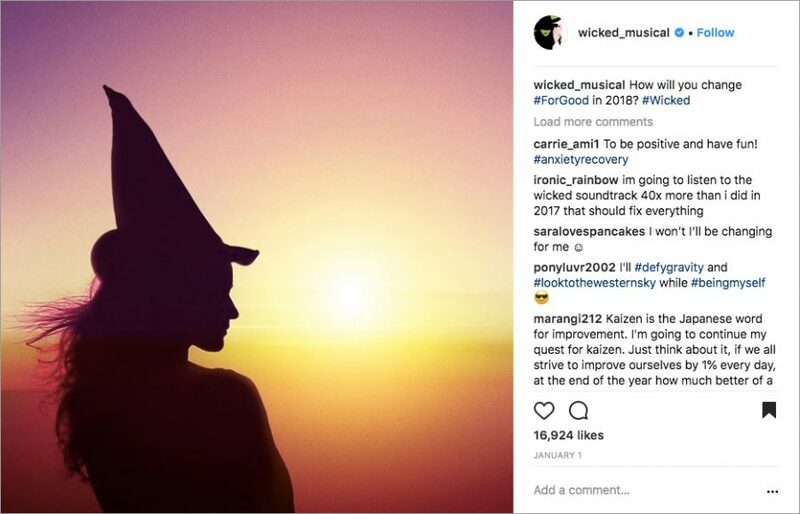 I also concepted and wrote the content calendar for December and January, hitting highlights such as Winter Solstice, Christmas, the New Year, and Martin Luther King Jr. Day. The posts below began with my ideas and copy, then were brought to visual life by the rest of the Wicked design team!